The Ear Group is a family run business based in West Hills, California that provides full audiological and hearing aid services to both children and adults. The Ear Group is the only audiology practice available for its patients 24 hours a day 7 days a week. The Ear Group also specializes in custom ear products such as stage monitors, musician ear plugs, pilot headsets, shooting protection, and floatable swim plugs, etc. The Ear Group provides a large selection of online products such as amplified telephones, pocket talkers, alerting devices, etc. We guarantee to provide the lowest prices while delivering the best products and services. The Ear Group has Audiologists and Hearing Aid Dispensers on staff with experience ranging from treatment of hearing disorders to providing specialty hearing devices and hearing aids. We combine our experience and knowledge to provide the best medical care for our patients. The Ear Group also extends their services to underprivileged people locally and around the world through The Ear Group Hearing Foundation. The Ear Group accepts all health insurance plans including Medi-Cal. 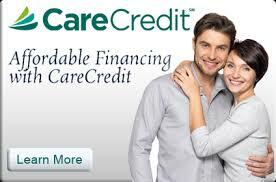 We also provide no-interest financing or low interest payment plans through HealthiPlan and CareCredit. We carry all the latest hearing aids and brands at the lowest prices guaranteed! We discount an additional 10% off any advertised price! Our non-profit hearing foundation provides full audiological and hearing aid services to underprivileged people around the world. We are currently updating our products such as hearing aid batteries, wax guards, amplifiers, and more! Check back to see what 2019 has in store. Click here to see what are are doing or where we have been. We would love to share our work with you! You can contact us through email or by phone 24 hours a day. We would love to hear from you so call us today! This state-of-the-art yet surprisingly simple telephone empowers you to communicate more confidently with friends, family, or coworkers. Click on the Phone to learn how you can get a FREE captioning telephone. The Ear Group accepts all forms of insurance including Medi-Cal. We also specialize in Workman's Compensation. To assist our patients, The Ear Group also offers 0% Interest Financing through Care Credit and Well's Fargo Health Advantage Plans. 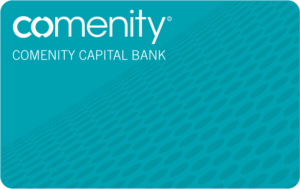 Comenity Capital Bank issues your HealthiPlan® Credit Account. ©2017 Synchrony Bank. All Rights Reserved. We are available Monday through Friday from 8:00am - 12:00 midnight (ET).